I was 16 when I started my first restaurant job. I followed my trainer around during orientation, listening to her spew off a list of acronyms and code words I’d never heard before. 86’ed. BOH. Reset on 16. After asking lots of questions, I slowly caught on to the jargon they used to communicate and keep the wheels of the restaurant spinning. In the years that followed, I would work as a host, a server, a barista, a dish washer, a cook, and a manager. With each different role, I learned even more jargon and phrases that became commonplace to me. The dictionary defines jargon as confused, unintelligible language. When I think back to my first restaurant job, that’s exactly what it felt like. It was hard enough to learn how to carry giant trays of drinks without spilling them everywhere, let alone understand what my coworkers were talking about. When I began working in public health, I had to learn an entirely different set of jargon—it’s a veritable alphabet soup of acronyms and abbreviations—not to mention the daunting and technical language of health policy. 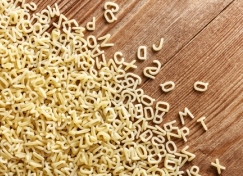 Even the words and descriptions behind many of the acronyms we use every day are full of jargon. What does health system transformation even mean? What is a RCCO and why is it pronounced “ree-co?” I started at CCMU—I mean Colorado Coalition for the Medically Underserved—this past summer, and I was relieved to not be starting completely over with a new set of jargon and acronyms to learn. However, the more I think about it, the more I feel like we’ve got it backwards. Yes, health care is complex, but newcomers to our sector shouldn’t have to work so hard to learn our lingo; we should be working hard to make our work more accessible and our world more inviting. Our meetings are a volley of acronyms, but when I say RHC, does everyone in the room know whether I’m talking about a Rural Health Clinic or a Regional Health Connector? How many times have you uttered a technical term or phrase that maybe you didn’t even truly understand? Conversations where decisions are made about the health care system are not exactly welcoming for people who aren’t engrossed in this work day in and day out—and sometimes even for those of us who are. So, our New Year’s resolution is to do better. At a recent meeting of the Colorado Network of Health Alliances, we challenged ourselves to explain some of the statewide health initiatives to new participants without using jargon—it wasn’t easy. We are also partnering with people who experience health disparities—building their leadership so they can influence the health care tables and decisions they’ve been left out of for so long. To be successful, we will need to work on making our conversations more accessible to everyone. We hope you’ll join us in committing to reducing the jargon in our conversations about health and health policy. Plain language benefits us all, especially as we work toward creating more inclusive spaces to advance health equity.